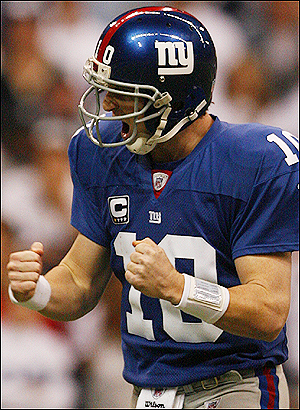 Watching Eli Manning mature as a quarterback in this league has been really intriguing and entertaining. Before he entered the NFL, Eli appeared to be his own man, a player at the collegiate level who wasn’t phased by adversity and who maintained the refreshing perspective that he was playing a game. Don’t get me wrong, it was very apparent that he had a burning desire to win, but it was with the relaxed body posture and outlook that you’d expect to see among kids who were playing football in the backyard on a cool autumn day. Manning lost that perspective a bit when he crossed over into professional football. Earlier in his career, all you had to do was look into his eyes during game action and you could see that he had lost some of the cool, relaxed mental state that had helped him excel at Ole Miss. But over the past few seasons, Manning has settled in. And I think he’s poised for his best year of his pro career to date for four reasons. One of the most significant factors in a quarterback’s success is the level of protection provided by his offensive line, especially when he’s made his grade primarily as a pocket-passer. Manning’s entire offensive line and both of his top tight ends return from last season, which reduces breakdowns in communication and miscues as defenders shift their positions and angles just prior to the snap of the ball. 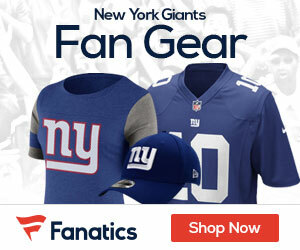 Manning will also benefit from the return of a potent rushing game led by Brandon Jacobs, who earned an $8 million signing bonus as part of a new four-year pact worth $25 million. And while the team lost backup Derrick Ward to free agency, second-year back Ahmad Bradshaw and rookie Andre Waters are capable of filling the gap. While the Giants no longer have Plaxico Burress and Amani Toomer penciled-in as starters, they’ve done a terrific job of selecting receivers with a wide variety of skills. The training camp battle between Steve Smith, Domenik Hixon, Mario Manningham, Sinorice Moss and rookies Hakeem Nicks and Ramses Barden is going to be fierce. And Manning will emerge from camp with a strong set of wide receiver targets along with third-year tight end Kevin Boss. Last, but certainly not least, this is Manning’s contract year. If the club is smart, they’ll get a new deal wrapped up with their star quarterback prior to the start of the season so it doesn’t become a distraction for the team. And when Manning sees the numbers in that contract, it will be further proof to him that he’s made his mark in the NFL — and he can play the game even more relaxed than ever before. Add it all up, and you’ve got bad news for the teams who are on the Giants’ 2009 schedule. As previously mentioned, Manning has significantly improved each year as a pro.